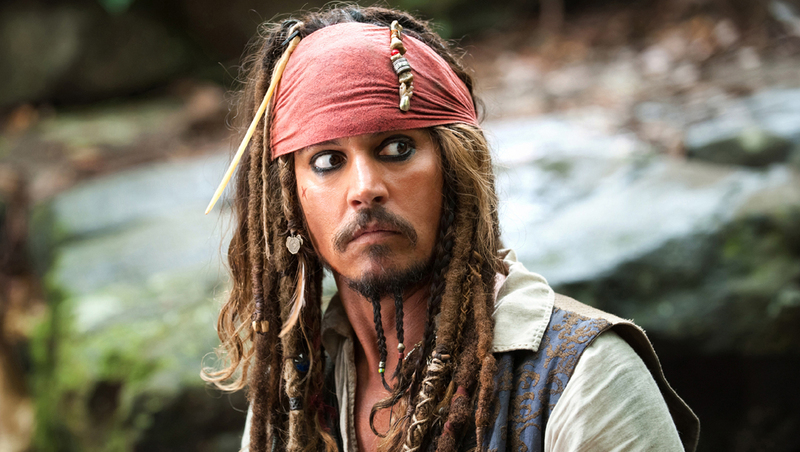 Johnny Depp is known for his transformational turns in some of Hollywood’s biggest films of all time. He looks completely different in Pirates of the Caribbean when compared to his character in Charlie and the Chocolate Factory. He looks different again in his portrayal of Edward Scissorhands (still Depp’s best film to date), but in the latest video for Marilyn Manson’s new track, he looks borderline unrecognisable. The video is for Manson’s latest track called ‘SAY10′, and it’s pretty gruesome, featuring plenty of horror-film references and some fake blood thrown in for good measure. 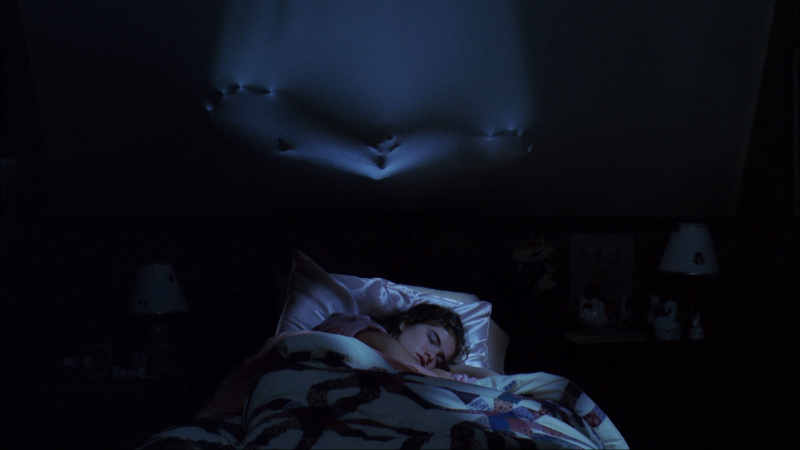 The video begins with a woman sat on a bed in a generic white room, before what looks like a man starts pushing into the wall, contorting the space above the bed. The obvious reference here is Nightmare On Elm Street, and there’s plenty more horror in the rest of the video. The woman in question picks up what looks to be a book of the occult, and it seduces her to do some pretty raunchy things. This isn’t the only raunchy part of the video though, and this is where Depp comes in, sat on his white throne, in weird make-up. He also appears to be smoking some substance as he’s surrounded by naked women writhing on the floor between himself and Manson. There are plenty of biblical references in this video, including the title itself, ‘SAY10‘, which is obviously a reference to Satan. There’s also a strong Cain and Abel theme going on through the Tyler Shields directed vid. After the balloons have all shrivelled up and are swallowed in the puddles of puke and idealism, don’t look to Me for sympathy. I am here to be all that I am accused of not being. And to be blamed for what you made Me. The shots you will hear are from a mouth disguised as a gun. Don’t call this art. This is a hard c*ck in a room full of vampires and the music, man. The music is My foul blood on your faces. 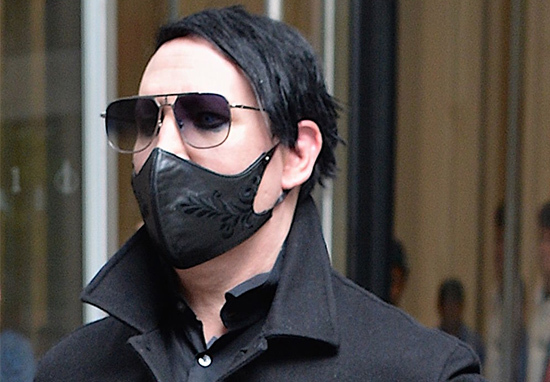 Manson was previously in headlines earlier this month after he was hospitalised from a falling prop at one of his gigs in New York City. According to TMZ, Manson was about an hour into his show at the Manhattan Center Hammerstein Ballroom – performing his hit cover ‘Sweet Dreams (Are Made of This)‘ – when the stage prop fell on top of him. The incident reportedly caused quite some damage to Manson and the emergency services had to be called out to the venue. Soon after, Manson was put on a stretcher and taken to hospital. Manson had to cancel a chunk of his tour in order to get back to full health after the incident. He is set to resume to tour, which is promoting his latest album Heaven Upside Down, on October 15 in Texas.